In this post we will describe in detail one of the most popular WordPress membership plugins – WP eMember. Membership plugins are necessary to manage users. Each membership corresponds to a user role, which determines access to content and other features on your website. Using this WordPress membership plugin would help you in deciding what content to provide to which category of learner. Control of access to content eventually determines that you are able to monetize your content. We discuss how to implement Per user restriction on login time and preventing unauthorized access so that one paid member has maximum restrictions from sharing their access credentials. We have given the links to plugins at the end. The biggest utility of membership plugins is to protect content in a Learning Management system. For suggestions on free LMS plugins to use in WordPress check this blog on Free WordPress LMS. Specific case of protection for video membership site is also written in brief at end. Overall aim of the article is to ensure that maximum revenues from your content reaches you while you are able to continuously grow your subscriber base. WordPress Membership plugin is one of the most popular free membership plugins. This is the wizard page in the plugin, and guides you about how to set up your eLearning site. WordPress eMember is a plugin that helps you manage memberships to your content. eMember offers various customizations – including integration with WordPress so that any account created for eMember would automatically make a corresponding WordPress account. You may make multiple membership levels depending on the level of access decided for the user. For example for a basic trial access to the site you may give users free access to a certain amount of content, or for a limited period of time. For this a free membership may be created. 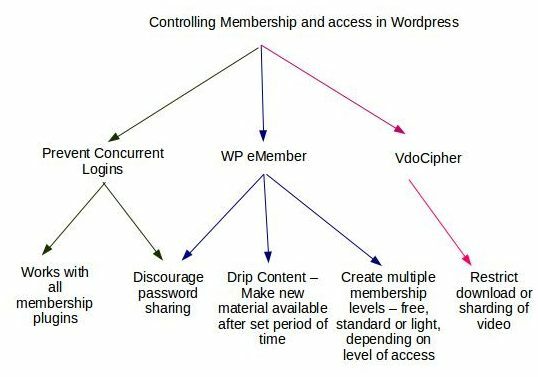 To enable general protection, go to the “WP eMember” button on the WordPress sidebar, and in the drop down menu go to “Membership Level” button. 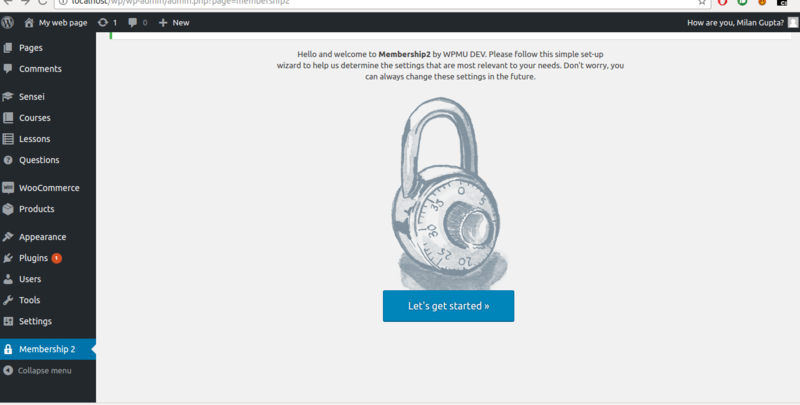 From here go to the “Manage Content Protection” tab. Click on “Custom Posts” to see all the posts that make up your content. To protect some or all of these posts, select them and click on the “General Protection” option in the drop down menu at the top of the page. General Protection restricts access to all the posts that you select (you can select all posts or pick specific posts for protection). After access restriction, the next step is to grant access according to the membership levels. For this go to the same drop down menu as the General Protection option, and select each membership levels. The resulting files will be files that are restricted from access. You can select the files for which you want to grant access , and after selecting, click the “Grant Access” button. You can make various membership levels, each differentiated by the number of pages that access is granted to. Note that membership levels to which access is to be granted are added using the dashes. Without specifying the membership ids, ie “[emember_protected]” – content is limited to logged in users only, including free registered users. Generating special renewal membership links. Besides this, eMember offers options for integration into wordpress, so that logging in to eMember would automatically log you into wordpress. The very large number of customization options that WP eMember offers makes it one of the most useful WordPress membership plugin. You can structure access to your learners so that the release of course material is done periodically. This method of releasing course material, called drip content management, limits the amount of information accessible at once to the user. This prevents your learners from being overwhelmed by the magnitude of the course. The auto-upgrade feature in this WordPress membership plugin allows for dripped content management, although this entails making multiple courses. There is a debate regarding the merits of drip content management policy – a negative of this approach is that it dictates that learners follow the particular pace with which you have structured the course. The other side of the coin is that you are ensuring that you do not overwhelm your learners with too much information. A major concern for eLearning site managers is the possibility that their content may be shared by multiple users using a single login. Password sharing is a problem that eMember does address, through the previously mentioned settings of limiting number of IPs and the option to disable concurrent login. In case the WordPress membership plugin that you use does not have the option to prevent simultaneous logins, a plugin that that specifically prevents concurrent login is the “Prevent Concurrent Login” plugin. This is a plugin that you only need to activate, and store in the Must Use category of plugins, for it to run silently in the background. It then by default prevent access to your membership system from multiple systems at the same time. You may use this plugin with any wordpress membership plugin, including the widely used WordPress Membership 2 plugin, and Wishlist Member, both of which rival WP eMember in popularity. For many premium video businesses like elearning & media , the necessity to protect video content from piracy by so many free downloaders, plugins , hacks is a must. Most of video streaming providers like youtube, vimeo, or self hosting doesnot allow for any protection. To restrict the access of your video content to only only your subscribers on wordpress, VdoCipher has come up with a secure video streaming solution based on encryption and watermarking. The plugin enables you to use a custom short code. 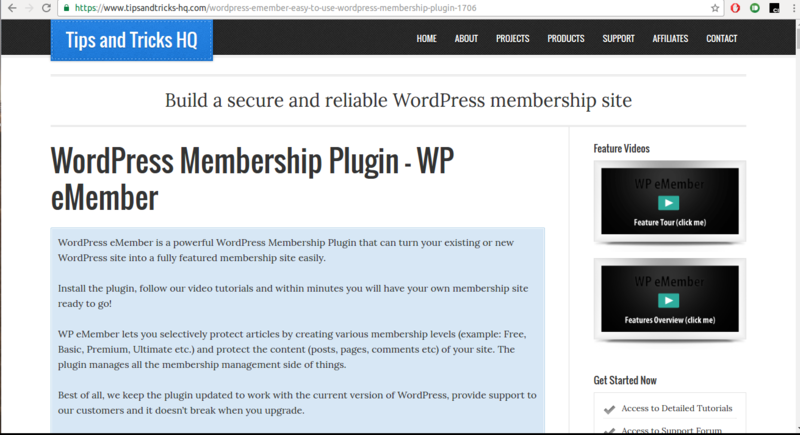 You can use the plugin and the shortcode with any wordpress membership plugin. Also as explained in the eMember section protection code, you can design your course to allow free registered access to trial learners and paid membership for the video. For this you only need to place the VdoCipher shortcode inside the sectional protection shortcode.